No Doubt The LG V10 is the nice phone from the LG mobiles, and now Android 7.0 Nougat for LG V10 is released for most of the LG V10 variants. So now it’s time to update the LF V10 phone with this new official update. The update is rolled out globally and available for almost all the models of the LG V10 Android smartphone. Here in this post, we will show you how you can download the latest Nougat update for your phone and install the update on your LG V10 mobile phone. This guide is especially for the LG V10 users, and don’t try to follow this on any other LG phones. To apply this update on your phone, you have to download the full firmware package for your phone and use the LGUP flash tool to install the update. Once the phone is updated, you can root LG V10 with the help of rooting tools like SuperSu and Magisk. On a rooted phone, you can enjoy lots of custom Roms, Othe mods, and Xposed framework. Here in this guide we are providing the links for the official firmware available for download, and this tutorial is valid for the LG V10 variants – F600K, F600S, F600L, H960ATR, H901. Make sure to take the backup of your data. Check here how to take the full backup of Android phones. Charge your phone so it at least has about 50% charge left. Follow all the steps very carefully. Below are the links to the Nougat firmware and save them on your desktop. 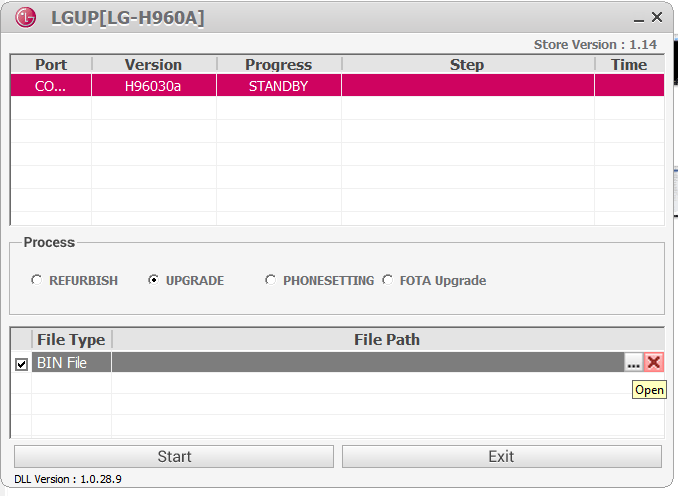 After that Install the LG drivers and LGUP flash tool on your windows PC. Hope you download all the files on your desktop and ready start the update process on your phone. So let’s get started. 1. First, boot your phone into download mode. To do this, Turn off your phone and plug it into your PC with a USB cable while holding the Volume Up button. This will boot your device into the download mode. 2. Once your LG v10 in download mode. Open the LGUP flash tool that you installed on your windows desktop. 3. Now your device is automatically detected in the LHUP tool. If not then closed the LGUP tool and restarted it again. 4. Once the phone is connected to the LG flash tool. Select the UPGRADE radio button in the flash tool. After that select the KDZ firmware file that you’ve downloaded from above. Make sure it’s the correct KDZ for your device. 5. Once everything is ready, hit the START button on the flash tool to start the updating process. 6. Now the process will take some time. So be patient and do not unplug the phone during the process. It may restart a few times and say that Android is upgrading. 7. Once it’s completed. Reboot the phone. 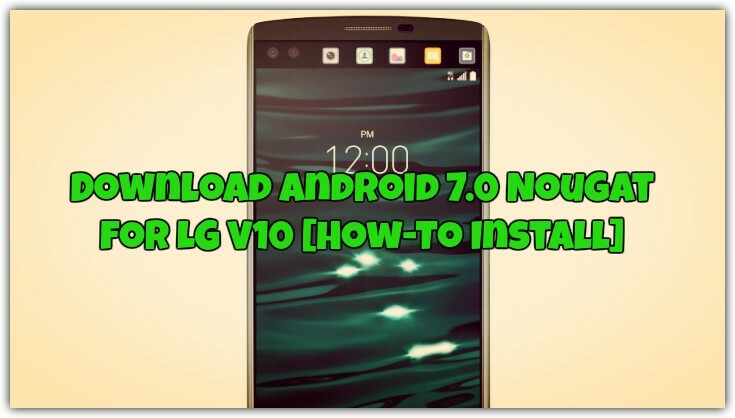 So with this guide, you can quickly Download Android 7.0 Nougat for LG V10 and update your phone with this official firmware. If you are facing some problem during the process, then leave the comments below.